Gregory Yurisich is one of the world's leading baritones. His portrayals of the great Verdi repertory earned him tremendous critical acclaim - "phenomenal" and "overwhelming" described his portrayal of the title role of Nabucco for the Bregenz Festival and later for the Royal Opera, Covent Garden, and in Geneva. Other acclaimed performances include the title role in Rigoletto in Israel, Australia and Athens; the title role in Simon Boccanegra for the English National Opera; the title role in Falstaff in Australia; Germont Père (La Traviata) for the San Francisco Opera, The Australian Opera and in Tel-Aviv and Geneva; Iago (Otello) with Placido Domingo for the Los Angeles Opera and in Brisbane; Stankar (Stiffelio) for the Royal Opera; and Amonasro (Aida) for the Royal Opera, Covent Garden. Other memorable performances include Barak (Die Frau Ohne Schatten) for the Melbourne International Festival, which won him the 1996 Green Room Award; Scarpia (Tosca) for the Royal Opera, at the Hong Kong Festival; the title role in Guillaume Tell for the Royal Opera; Escamillo (Carmen) for English National Opera and at the Bayerische Staatsoper in Munich; Telramund (Lohengrin) for the Victoria State Opera winning him the 1992 Green Room Award; Balstrode (Peter Grimes) for the Chatelet in Paris and the Théàtre de la Monnaie in Brussels; Sharpless (Madame Butterfly) for The Australian Opera; and the Four Villains (Les Contes d'Hoffmann) for Opera de Paris at the Bastille and the Royal Opera. He recently debuted at Berlin Staatsoper Unter den Linden as Alfio (Cavalleria Rusticana) and Tonio (Pagliacci), and performed Tonio with Placido Domingo for Washington Opera. 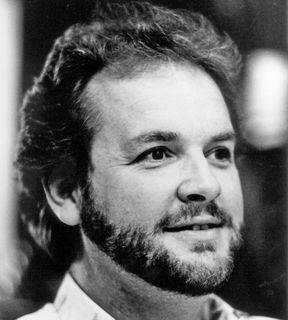 Gregory Yurisich has made many international appearances on the concert platform, including From the House of the Dead with Zubin Mehta and the Israel Philharmonic; Mahler's Eighth Symphony for the Edinburgh International Festival; Mass for Rossini for Opera de Lyon; Alberich (Siegfried) in concert with the Melbourne Symphony Orchestra and Sir Charles Mackerras; and Salieri in Rimsky-Korsakov's Mozart and Salieri, and Beethoven's Symphony No. 9 for the Australian ABC Television network. In 1998 he performed live on BBC Television in concert with Dame Kiri Te Kanawa and Dennis O'Neill for the opening of the new Waterfront Hall in Belfast. Yurisich’s robust baritone voice, bold personality and clarity of diction serve as a fine tribute to the great Peter Dawson.